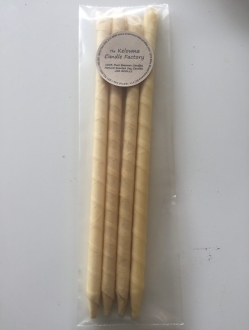 Ear Candling is a natural, non-intrusive procedure that may help alleviate the painful effects of chronic headaches or sinus conditions, ear infections, allergies or vertigo, as well as minor hearing loss due to excessive earwax built up. Ear candling helps to improve your hearing, smell, taste and vision. It assists in detoxifying the sinus and lymph system (a full description of benefits is below). 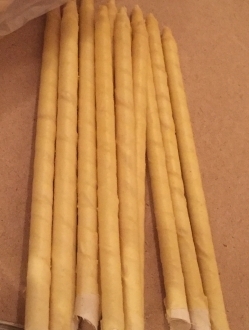 Ear candling requires the use of ear candles. 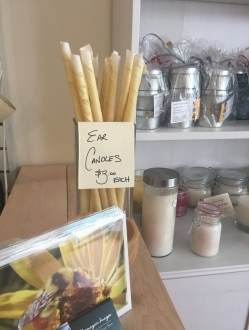 Avalon’s Ear Candles are made from 100% Pure Beeswax and Unbleached Muslin Cloth that is wound into a cone shape, soaked in 100% pure beeswax, and then allowed to harden (a full description of supplies is below). This hollow candle is inserted through a hole in a paper plate and than placed into the external ear canal. The candle is lit at the opposite end (a full description of ear candling is below). This creates a low-level vacuum that draws ear wax into the hollow candle. After the procedure, a dark, waxy substance is usually left in the stub of the candle. It is a painless, harmless and totally relaxing experience. The treatment lasts about 30 minutes +. Almost everyone from infants to adults can benefit from ear candling. Many people find it to be a satisfying relaxing procedure and assist them into feeling better. 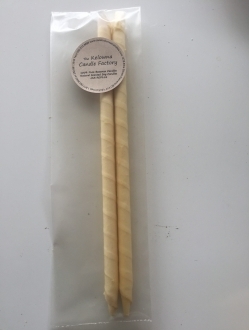 Ear Cone 2 pack Candles by the case or by the pack your choice! Ear Cone 4 pack Candles by the case or by the pack your choice!